My eldest child is now 11 years old and I ALWAYS have used a Braun Thermometer. I purchased it when he had his first fever after his baby immunisations and do you know what it is still going strong! 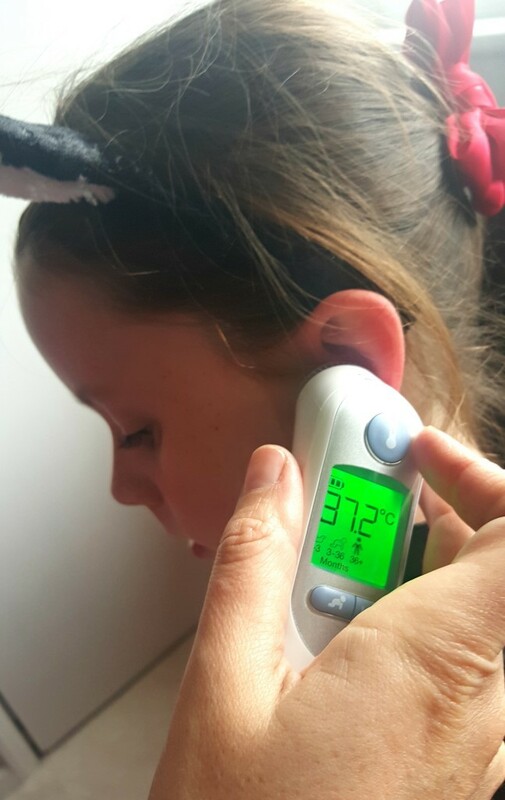 I have used it so often, all 3 of my kids are the type that spike a temperature every time they are ill and they aren’t just small temperatures. 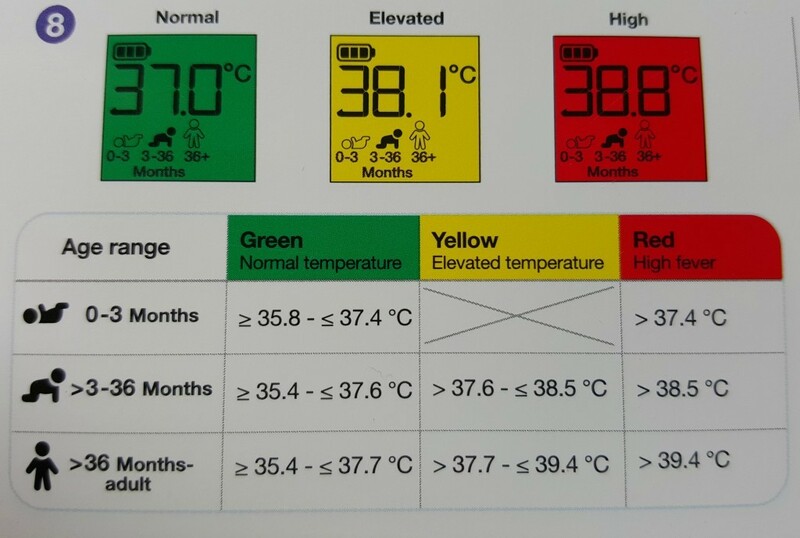 They are nearing 40 Celsius with every temperature they get and when my son was about 18 months old he had a mild febral convulsion as his temperature spiked so quickly. So from that day on wards I have worried about their temperatures. So this little thermometer has seen some temperatures, stopped me worrying about some and made me worry at times too! 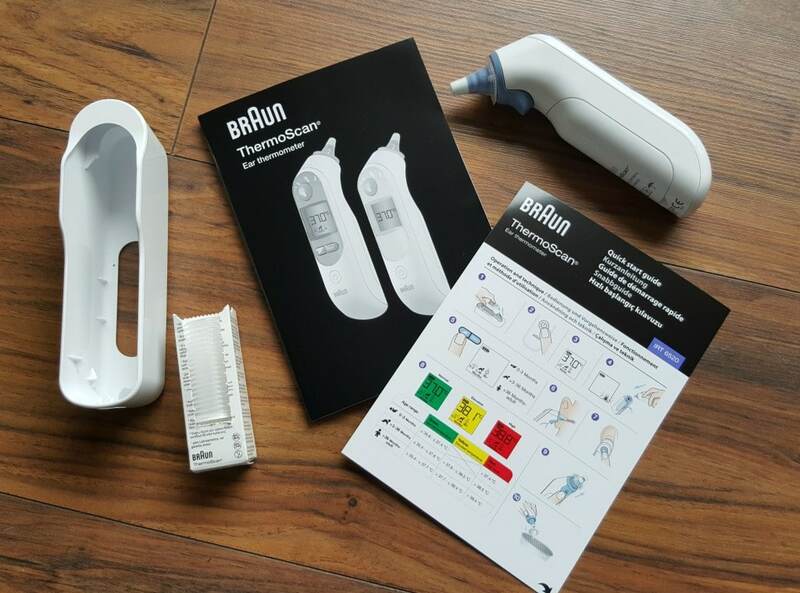 So when I was sent the new Braun Thermoscan 7 I was thrilled to be able to update our old one, I knew that the brand Braun was going to be reliable but I was looking forward to seeing the new functions. 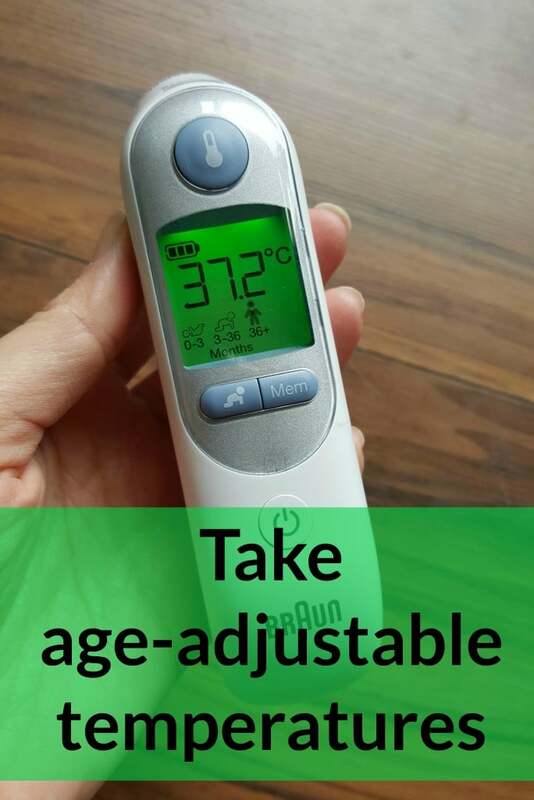 The idea around the Braun ThermoScan 7 is that it is age-adjustable, I didn’t realise that the definition of fever changes with a child’s age, according to clinical research. What is a normal temperature in a four year old, can be a fever in a newborn. The Braun ThermoScan 7 gives you age-adjustable guidance on what is a ‘Normal’ ‘Elevated’ and ‘High’ fever. It has quick and easy to read colour signals. Also with a pre-warmed tip it gives the most accurate reading and reduces the cooling effect which could give a inaccurate reading. What I love is the night light feature, I always remember having to quickly get to the light to see what their temperature was in the night before I lost the displayed temperature on my old one! This one has a night light on so I can easily see without it being too bright that it wakes the kids up. 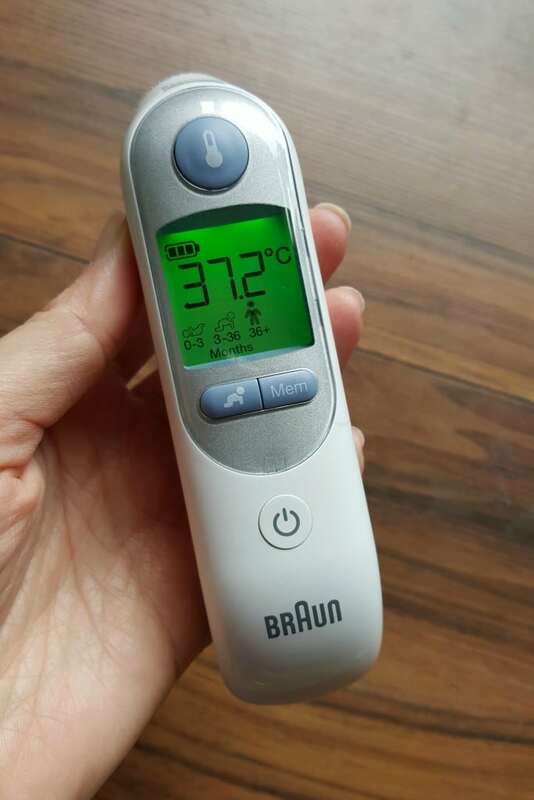 It also has a memory mode, now this is a fantastic idea, when tracking my kids temperatures I would write down the temperatures but the Braun ThermoScan 7 gives you the option of being able to add up to 9 temperature measurements and store them into the memory. The buttons are also larger which makes taking the temperature easier, now my son is older he takes his own temperature. He use to struggle to find the little button to press as well as holding in his ear! These ones are directly on the front and large enough to find. Each Braun ThermoScan 7 comes with a pack of lens filters which they say you should change each time you use the thermometer, these Lens Filters can easily be purchased and are quite good value for a pack of 40 on Amazon. If you don’t like using it in Celsius you can change it to Fahrenheit very easily, batteries are normal AA batteries and it also comes with a protective case. 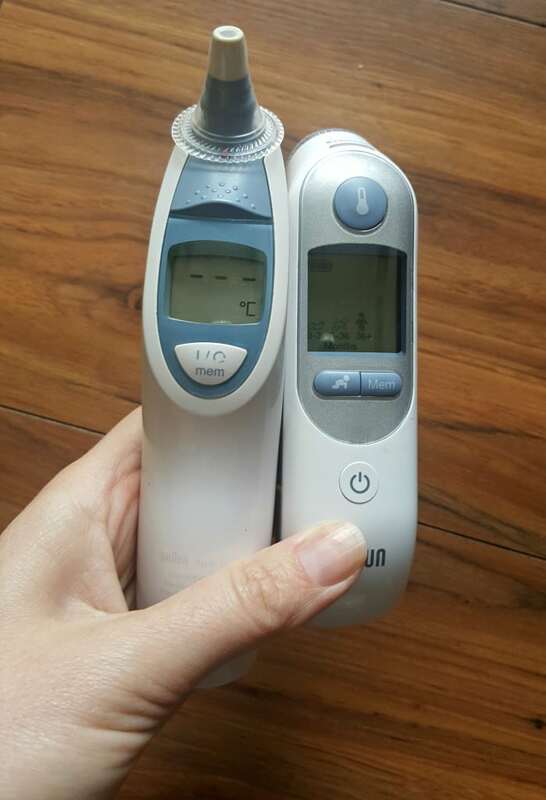 I knew I would but I really love the new Braun Thermoscan 7 it is going to be a great addition to my medical box and when the kids are poorly it is going to be great at reassuring me and not over medicating them to quickly. * We were sent the Braun ThermoScan 7 for the purpose of this review however all words are honest and of my own.